Everyone is familiar with the ads that these days populate nine out of ten pages on the Internet, popping up and jiggling or blinking, sometimes expanding to overlay the entire page and drive you mad. Last week I came upon a book advertised in one of these pop-ups and while most times I want to scream, in this case something made me click on the ad. It turned out to be the most satisfying page link of the month, introducing me to a book by Swedish writer Fredrik Backman titled A Man Called Ove. Backman is a blogger and journalist who published this first book in 2012. An English translation followed in 2013 and the cover of the book now boasts translations into twenty-five languages. A stage version of the book opened in January 2015 in Stockholm and a film was released in December of the same year. Backman has published two additional novels since A Man Called Ove. The main character of A Man Called Ove is a 59 year-old extra salty curmudgeon, a crusty Jack Nicholson type of cantankerous and antisocial old bulldog with little patience for the ways of others, especially his neighbors. And then one day a boisterous new family moves in next door, an Iranian woman named Parvaneh with her Swedish husband and two girls. It is a hard road at first but the feisty and undeterred Parvaneh eventually succeeds in making Ove a friend and with her “interference” in his life opens him up to expose a heart we never suspected. Ove (o-veh) is a man who views life in a black or white, right or wrong framework. He has unwavering principles, strict routines, and a hair trigger when it comes to other people. He dislikes most of the people in his neighborhood and is often ‘the neighbor from hell.’ He is annoyed by computers, iPads and cell phones and disparages anyone who can’t repair his own car or broken radiator. But there’s always a backstory and behind the crabby exterior is a very human story of fortitude, loneliness and loss. One day Parvaneh and her family move in next door—and accidentally crumple Ove’s mailbox with their trailer. This provides the doorway into a comic and touching story of unexpected friendship, one that shakes a cranky old man and the neighborhood residents right down to the roots. Ove’s wife Sonia was the person who brought color to his world but Sonia died four years ago and all that color has drained away. She was the love of his life and her absence, along with his forced retirement has Ove making plans to join Sonia by way of a noose. The only problem is every time he’s on the verge of making it happen someone knocks on the door. Backman has created a marvelous cast of diverse characters to surround Ove, and while none of them is invited they one by one weave themselves into his life. The book is easy to read, filled with colorful characters and funny from start to finish. What surprises most is that under the rough exterior, Ove has unexpected understanding and acceptance of those with marginal or alternate lifestyles. We see this part of his character in his treatment of the heavyweight Jimmy, bad boy Adrian and gay Mirsad. 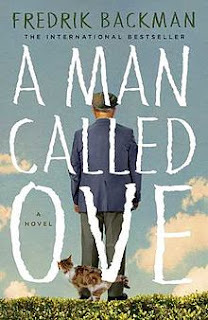 If you’re looking to be charmed, A Man Called Ove is the perfect book, and one that offers a thoughtful reflection of love and loss and the profound impact one life can have on others. The bonus is that it comes with a big dose of laughter. 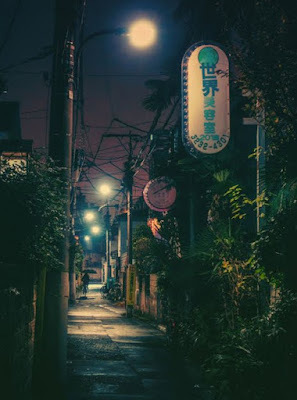 We all have memories of special places. 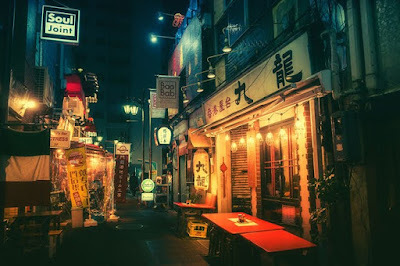 For one it’s a particular spot in the old hometown, and for another it may be the jungles of Borneo or a high school trip to New York. The recollections of places we’ve spent a part of our lives, be it long or short, are not mere static images frozen in the imagination but something often enriched by the passage of years. This happens especially when memories of a place are pleasant and characterized by a happy time of life. Over time the memories become romanticized and take on an aura of specialness that becomes almost holy. At least that’s always how it’s been with me. 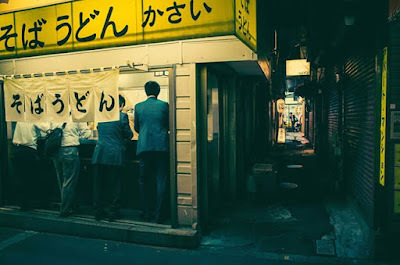 Businessmen stop for a bowl of noodles on the way home. Anyone who has spent some time flipping through the pages of Scriblets will know that once upon a time I lived in the faraway land of Japan. Seeing as how I spent more than a year and a day there, my memories of it are about as tactile as thought can be. But a funny thing happened. It wasn’t long before those aspects of life in Japan that had once bothered me—the packed trains, the crowds and constant dodging of oncoming bicycles, the bureaucracy—all these gradually turned sweet in memory and now I’m thinking, “God, how I miss the loud and constant chatter of five housewives over coffee!” All of it has been embellished and set fondly and romantically aglow by the yearning for a place in memory. 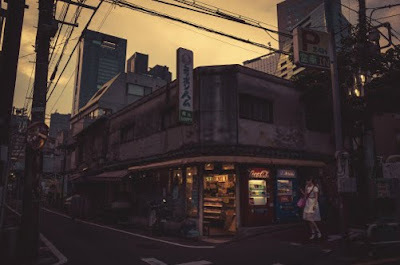 The photographs of Masashi Wakui bring to life the city in my mind. Though they catalog actual places, Wakui’s photographs give Tokyo a surreal, cinematic quality. 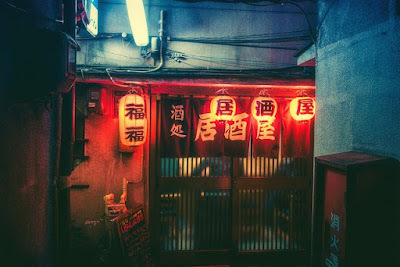 Photographed at night, mostly among the backstreets and alleyways of Shibuya and Shinjuku, in their neon richness the photos are almost kaleidoscopic in their portrayal of the city. Wakui’s photographs have been called, “big-budget anime come to life.” It is the result of processing his photographs to give them the tinged look of oversaturated colors seen in Japanese anime—it is what some have begun calling the Masashi Wakui Look. 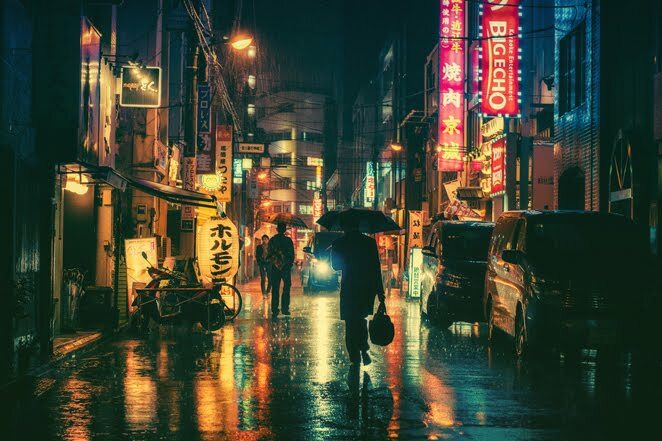 Unlike other cities, light illuminates Tokyo at night to give it a dreamlike dystopian atmosphere and it is through this nocturnal city that Wakui’s camera eye wanders. Have a look. 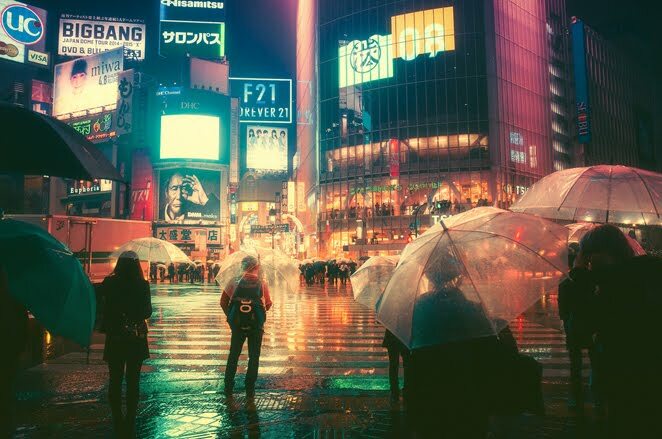 It’s a safe bet to say you will be fascinated by this man’s view of Tokyo. The romance of dimly lit narrow streets colored by neon, streetlights and shadow. For one who enjoys reading, the best times come when stumbling upon a book and writer you never suspected would knock your socks off and realizing he has authored a long list of titles you can look forward to reading your way through. 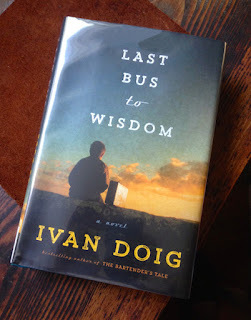 Always late to the party, such was the case with me and Ivan Doig who passed away this past April leaving behind thirteen novels and five books of non-fiction. His last novel, published this month is a combination coming of age and road story titled Last Bus to Wisdom. The protagonist of Doig’s tale is an 11 year-old boy named Donal “Red Chief” Cameron who just might be one of the freshest and most memorable juvenile characters in fiction since Huckleberry Finn. In the summer of 1951 Donal unwillingly leaves Montana and his beloved Gram when she has some “female trouble” requiring surgery and is unable to look after him during her time of recuperation. Donal boards the dog bus, a Greyhound bound for Manitowoc, Wisconsin and the home of his great-aunt Kate. The trip is a memorable one for him, including a first kiss, a run-in with a thief and a scare from one ornery sheriff. He arrives in Manitowoc and is met by the odd couple of all time, Aunt Kate and Uncle Herman. It isn’t long before Donal catches on that his aunt is none to happy with him around and suddenly she is sending him back to Montana and into an orphanage. Donal boards another Greyhound, head filled with nightmares of life in a state home, but looks up to see the person sitting next to him is none other than a runaway Uncle Herman. Together they head west on the road to fun and adventure. On the road together the two encounter a good sampling of both delight and disaster. Uncle Herman is a great fan of the wild west and anything related to cowboys and Indians and Donal assures him of finding a lot of both. 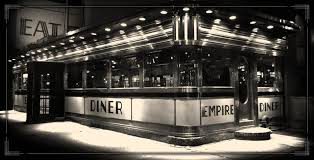 Soon enough they are thick in the middle of it, decked out in Stetson hats purchased with the H&S Green Stamps Donal got for all his Greyhound miles—the 1950s answer to frequent flyer miles. They meet plenty of Indians and a rodeo full of cowboys where Uncle Herman discovers the thrill of wild bronc riding. With their money lifted by a pickpocket on one of the bus rides, the only choice left to them is signing on for ranch work cutting and baling hay along with a family of hoboes. The two are living the life of their wildest dreams until the sheriff turns up looking for an absconded husband and runaway boy. 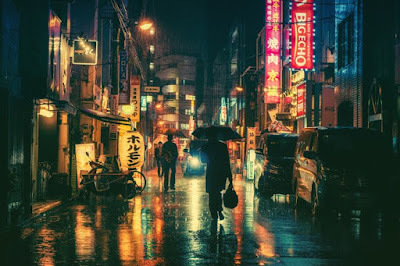 There are more than a few things to praise about Doig’s novel but at the top of the list is the very particular and colorful idiom of all the characters. Donal has a way with words that never fail to surprise and the German Uncle Herman speaks a language all his own that few outside of Donal can follow. 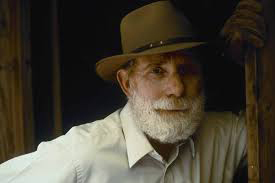 But language and style are only two of Doig’s big guns. The characters in this novel—and there are many—are each wonderfully drawn, men and women who walk off the page to sit beside you. 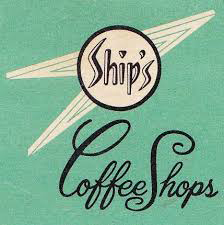 There is as well, the character of place and location that revives mid-twentieth century towns and locales so tangibly. One of the most enjoyable reads of the year. Easily among this reader’s Top Three. 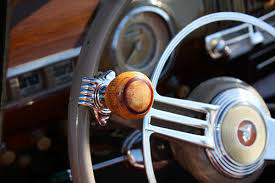 I never knew before reading Last Bus to Wisdom that the knobs often seen attached to steering wheels in the 1950s were known as “necker knobs.” It made one-handed steering easier so the right arm could go snugly around your girlfriend’s shoulder. This past Thursday marked the 70th anniversary of the atomic bombing of Hiroshima on August 6, 1945. How pale those words seem in describing an event that in its first moment incinerated 80,000 people and left thousands more to die in the coming days and weeks. For many of us the reality of that iconic Monday morning is far removed and almost impossible to imagine. Details about the annihilated city and its population were for a long time sketchy at best to everyone but the few officials who visited the aftermath. 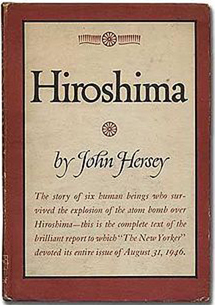 It wasn’t until a year later that a full picture of the tragedy in human dimensions was offered by John Hersey, a Pulitzer Prize winning writer who published his account in The New Yorker on August 31, 1946. The story continues to follow these six survivors as they make their way through the aftermath of a broken and scorched city. Though the writer’s aim was to keep his own emotions at bay, this new style of journalism nevertheless tips the reader headfirst into the heart and mind of his subjects. The bravery of these six people in the face of such utter loss and defeat makes for a remarkable story. Realizing this past August 6 was the Hiroshima anniversary, I pulled from a bookshelf my old and carefully preserved first Knopf edition and stood for several minutes rereading the first pages. Hardly raising my eyes, I settled into a chair for the next hour and read the book’s 118 pages with the same fervor of my first reading years ago. This small but powerful book is not one to miss. Chances are high that every writer likes to see his or her book singled out by the press for pre-publication notice. But on occasion the coming of a new book can be marred by too much attention from the press. 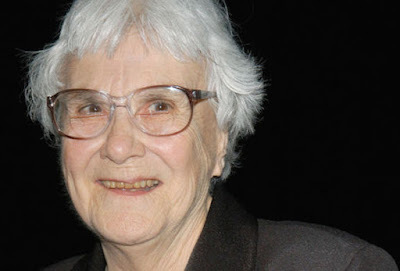 Take the case of Harper Lee’s new book, Go Set a Watchman, published on July 14 by HarperCollins. Obviously because of the author’s previous and until then only book, the 1960 Pulitzer Prize winning To Kill a Mockingbird, excitement and expectations were high when the new book was announced. To say that excitement was high is probably the grandest of understatements considering that the press went wild and the hype began building to ridiculous levels. Credit (or blame) a lot of that on the lawyers and agents involved in bringing to light a book written by Ms Lee even before her iconic To Kill a Mockingbird. As someone who considers To Kill a Mockingbird one of the more important books in American literature, and also a person who tries to keep up with what’s new and upcoming in books, the pre-publication hype for Go Set a Watchman was overwhelming. And to that phenomenon I attach a negative result. Naturally, as was always intended by the lawyers and agents, the bombardment of press releases created a sure-fire money earning bestseller weeks before printing of the first copy. Little surprise that HarperCollins announced the book set a pre-sale record for the publishing house. It isn’t big news that controversy tends to make money and the controversy regarding this second (or first) book by Harper Lee has been bubbling. The state of Alabama launched an investigation into whether or not the 87 year-old author was being coerced into publishing her “lost” manuscript, concluding that there was no coercion. Following a stroke in 2007 Harper Lee is considered by those close to her as mentally and physically unable to participate in business transactions. Other ingredients in the press release gumbo were articles arguing that the book was an early draft of To Kill a Mockingbird, rejected with the recommendation for a complete rewrite. Add to that the opinion of critics who wondered how the same person could write such a turnaround story, that the wise father in To Kill a Mockingbird is a racist in the new book. 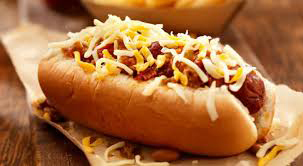 By the time July 14 rolled around I was full and tired of reading about Go Set a Watchman. And then this past Monday while browsing in my local library, the friendly librarian mentioned that a copy of Go Set a Watchman was on the new books shelf. It’s a very small library but I was still surprised that such an eagerly awaited book had not been snatched up immediately. Still, in no hurry to read the book, my head too full of hype and conflicting reports, I told the librarian that I would wait a while. She said, “It’s a wonderful book, when you do get around to it.” We chatted about the book for a minute, me explaining that the reviews and such had discouraged me. In the end, I did bring the book home. I finished reading it on Tuesday. After all the off-putting hullabaloo that went before, I am happy to say that Go Set a Watchman is a fine read, a worthy book and a very creditable piece of writing, thank you Harper Lee. Her prose is delightful, her sentences crystal and economic, the characters and setting well-shaped and vivid and her dialogue delightful, full of those colorful old southernisms. Something I should have known but didn't, despite several front to back readings of the Bible in different versions—The title of the book comes from the King James version, chapter 21, verse 6 of Isaiah. An excellent and very fitting title. A few things about the book bothered me, but only slightly and not enough to take away from the whole. The ending is what I would almost call a Hollywood ending contrived to leave the reader with a sigh of happy relief. Here and there in the book’s 278 pages are scattered several long immersions into the childhood antics of Scout, Jem and Dill, passages that felt too much like deleted pages from To Kill a Mockingbird. It is important to grasp or sense from the beginning that a good bit of the young Scout from Mockingbird still holds sway in the 26 year-old Scout of Go Set a Watchman. She is by design immature and naive in many ways, a young woman who wears a thin veneer of New York sophistication, but as her uncle describes at one point, something of a bigot. Most importantly, forget everything you've read recently about the discovery of the manuscript, the embattled lawyers and agents and the stories of long ago first drafts turned down then reappearing as a book similar to To Kill a Mockingbird set 25 years later. Put all the articles, essays and reviews aside; this book is not what they describe. To be very clear about it, Atticus Finch is not a racist in the second book, he is not a vile reverse side of the father (and man) his daughter thought he was. It’s hard to imagine how a critic from whatever illustrious publication could get that so wrong, like missing the boat completely. 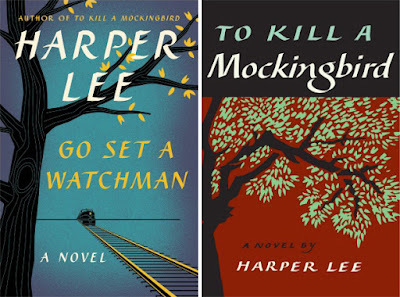 If anyone tells you that the character of Atticus Finch in Go Set a Watchman is a racist, then tell them, "You'd better go back and read it again." Wonderful book. Harper Lee has added a late in life crown to her collection. 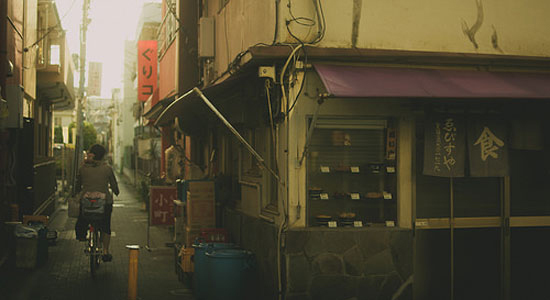 In 1947 a 15 year-old boy went to work at the Sailor Pen Company in Hiroshima, Japan. He continued to work there for 64 years building a worldwide reputation as one of the finest fountain pen nib designers anywhere in the world. 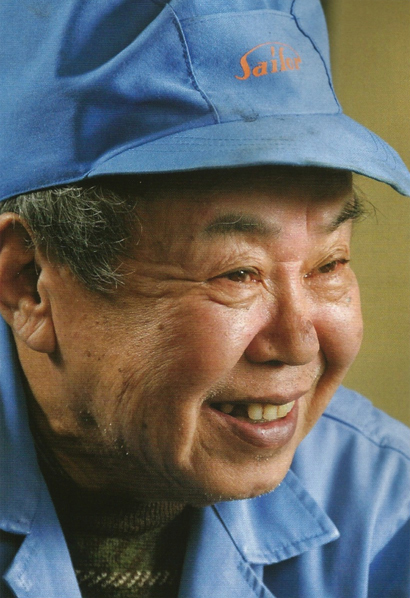 Nobuyoshi Nagahara, known as the “God of Fountain Pens” in Japan, passed away on March 11 of this year. This sad news came to me today with the arrival of Stationery Hobby Box (Shumi no bungu bako), issue 34. 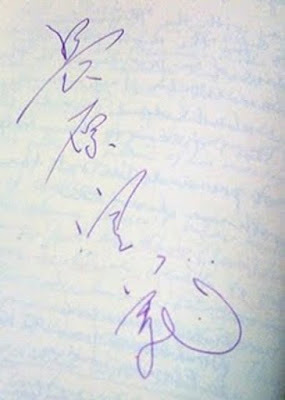 Following in the footsteps of his uncle and starting work as a boy in the Sailor factory, over the years he became a master craftsman of unparalleled genius, his reputation familiar to fountain pen aficionados all over the world. 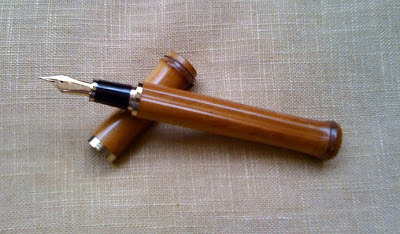 During my years of living in Japan I had several opportunities of meeting Mr. Nagahara at pen clinics and receiving advice about or adjustments to one or another of my several Sailor fountain pens. One might think it out of the question that such a respected craftsman would give ten or fifteen minutes of advice and help to lines of strangers, but that was Mr. Nagahara’s way at all of his clinics. I once asked if he would sign a page in the notebook I carried and with a laugh he took up my newly adjusted Sailor 1911, full of violet ink and dashed off his signature in the notebook. 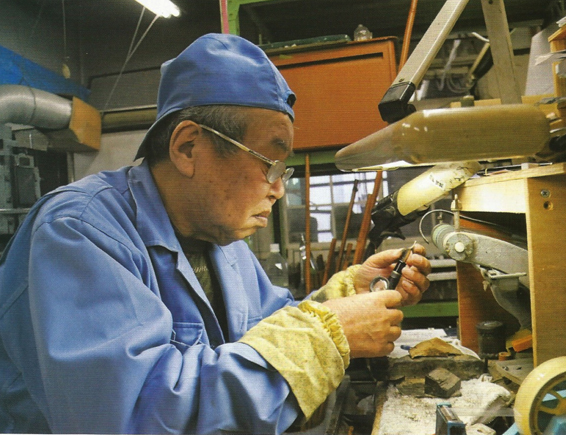 Mr. Nagahara retired in 2011, leaving his son, Nagahara Yukio to take over his work at Sailor. 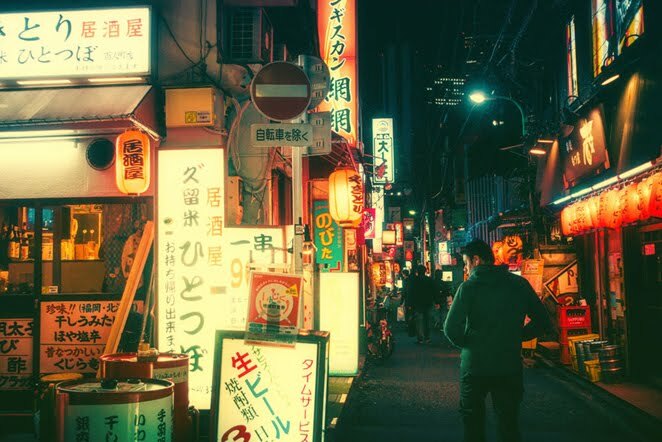 In the true sense of traditional Japanese apprenticeship, there is little doubt that his 14 years of side-by-side work with his father guarantees that the Nagahara legacy is in good hands. One of my favorite pens of Nagahara Nobuyoshi’s design is the susudake naginata in which the barrel and nib are encased in smoked bamboo. The process of smoking the bamboo over an open hearth is lengthy, sometimes carried over years at a time. The long absorption of smoke serves to harden the bamboo even more and to add elegant coloration to the grain. The result is called susudake, or smoked-stained bamboo. From this hard and beautifully colored bamboo, Mr. Nagahara made what is called the Susudake Naginata. The nib design is of 21k gold, long in body and slightly reminiscent of the old Japanese halberd or naginata. Another Sailor favorite is the Sailor Profit 21 with its Naginata nib. What first caught my eye was the striking red and black body with gold trim, though it is not truly a red, more of an orangish red similar to persimmon—eyecatchingly beautiful in its elegant jet black, orangy-red and shiny gold trim. 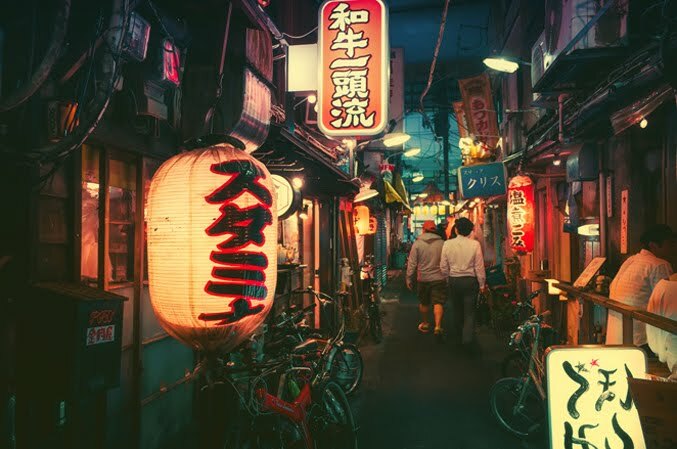 About the nib…One evening in Tokyo I was cleaning the pen and as will happen horribly on occasion, the pen slipped out of my hands and dropped like a missile, nib first to the hardwood floor. Any sharper and it would have stuck up quivering in the floor. I stood frozen in shock for half a minute imagining the newly blunted nib. No question it was badly damaged by the fall, and in a condition that required professional help. 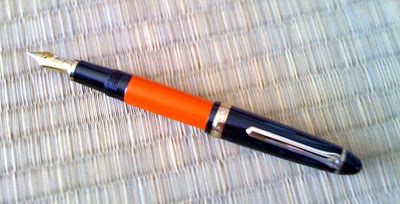 Three weeks later Mr. Nagahara was making an appearance at a pen clinic in Tokyo and I took the pen to him for repair. Apparently it was a simple fix for him, and within fifteen minutes he had the pen back to mint condition—and of course, no charge. The article on Mr. Nagahara’s passing in Stationery Hobby Box suggests that for many, March 11, 2015 marked the end of an era.